offers these services to give your lawn the extra attention it deserves. The idea of something living and feeding on you is inherently disturbing. 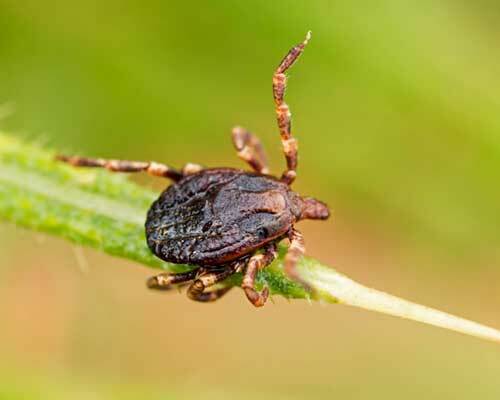 Combine that with the fact that fleas and ticks are known to commonly carry disease, and they’re no longer just disturbing – they’re downright dangerous. Our Flea & Tick Control Program keeps your family safe by creating a protective zone that flea and ticks won’t survive in. We also target cool, shady spots that these ectoparasites (and, not coincidentally, your pets) love to seek out, such as tall grass and leaf litter. The area is safe for people and pets just one hour after treatment. The Flea & Tick Control Program consists of four visits to keep your family safe for the duration of the flea and tick season. The Flea & Tick Control Program consists of four visits to keep your family safe for the durationof the flea and tick season. Our experts search the perimeter of your home for any possible entrance points that an insect may like to use, like spaces under doors or windows and cracks in the mortar. 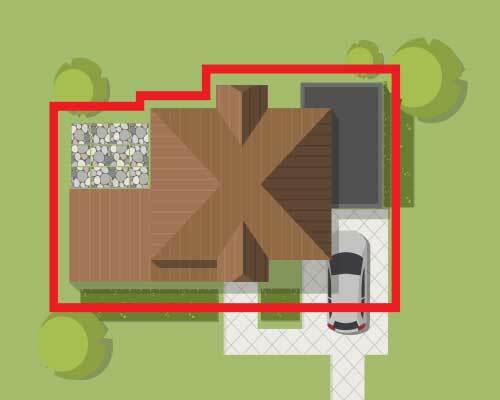 We apply a family-safe, invisible 3-foot barrier around the home to guarantee your home won’t have any unwanted guests. We make four visits to keep your home pest-free during all the warm months! Over time, the soil in your lawn becomes compacted from rain and foot traffic. This ruins the flow of water, oxygen, and nutrients into the roots of the turf, creating a discolored, unhealthy lawn. 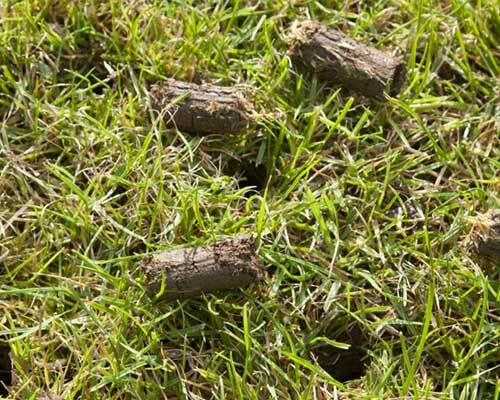 Core Aeration is a process that uses a machine to pull up plugs of soil and redistribute them over your lawn, allowing the dirt to loosen – promoting the flow of nutrients. This process is essential for highly-trafficked areas. 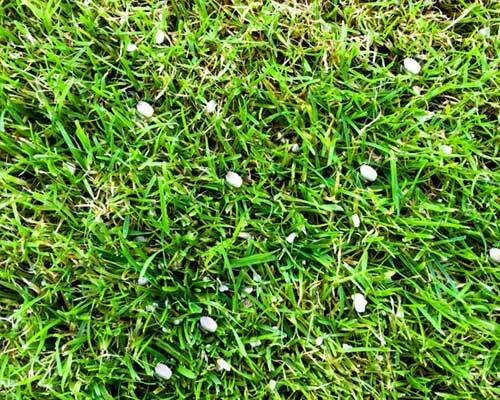 After the Core Aeration Process, we overseed your lawn with the appropriate type of grass seed to fill in any bare or unhealthy spots, creating thick, healthy turf. Believe it or not, the soil’s pH balance is a vital component of a healthy lawn. Things like rock salt in the winter and excessive rain over time can ruin the pH balance. We’ll test your soil and see if a Lime Treatment is necessary to restore the pH balance to optimum levels. 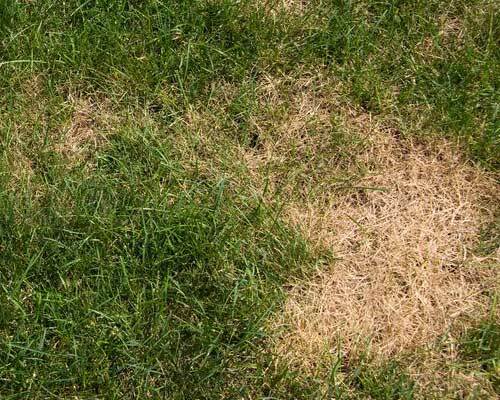 If you notice white or red threads, circular mushrooms patters, or even large slimy-looking patches of grass on your lawn, it’s possible that what you’re looking at is lawn disease. We carefully examine your lawn’s health, and apply treatment as necessary to get your lawn back to 100% health. Mosquitoes have a unique ability to completely ruin a day in a way that nothing else can. They truly have a gift. 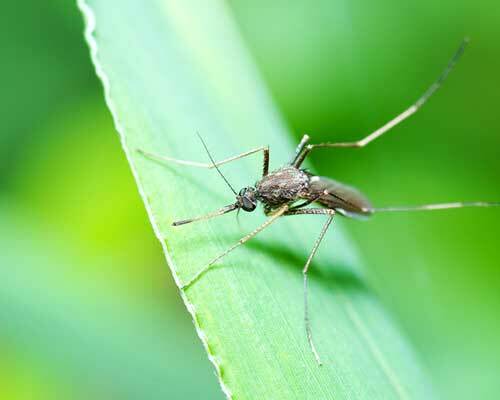 Our Mosquito Control Program consists of four applications over the course of the mosquito season, during which we seek out preferred mosquito habitat like standing water and shaded areas, to keep your lawn (and family) mosquito-free. Hosting a birthday, graduation, or pool party? Call us a month prior to your special event and we’ll ensure that your guests spend the time enjoying themselves rather than slapping themselves silly.